Airports around the world are working to bring the luxury experience into the travel process. Business class has defined the luxury experience in flight, but airport lounges with elegant and lavish amenities are becoming more popular with travelers. Elaborate and sought-after perks like shower suites, meals from world-renowned chefs, spas and more are making airports mini-destinations on the way to final destinations. 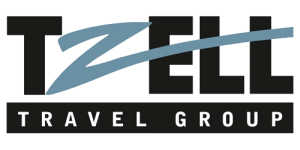 BlueOrange Travel, a luxury travel agent based in New York City, will help you discover the best airport lounges while booking your next world-class business trip. As the largest first-class lounge in the world, this amazing and luxurious lounge boasts dozens of seating areas, duty-free shopping, unforgettable dining, a cigar bar, showers and more. Plus travelers can stop in to speak to an experienced sommelier to find the perfect bottle of wine from the lounge’s wine cellar. Passengers can board their flight directly from the lounge, making the First Class Lounge as convenient as it is elegant. Lively with unique decor, this lounge is eye catching and never boring. Guests of the Virgin Atlantic Clubhouse are treated to complimentary cocktails, an elaborate entertainment zone and delicious dining in the semi-formal brasserie area. Plus, the Virgin lounge in JFK is the only American Virgin lounge to have a Clubhouse Spa. Stop in for a blowout, facial or soothing massage. The International First Lounge in Sydney is designed to feel free-flowing and open while maintaining the privacy of the people who stop in before their flights. This lounge aims to meet every need of every traveler. Meals from chef Neil Perry, a spa overflowing with lush greenery, a full-time barista, a library, showers and incredible views of the runway give travelers the best of the best before their departures. Look out over the Hollywood Hills and the LA skyline from the rooftop deck of the Star Alliance International Lounge in LAX. This amazing view, paired with a glamorous bar makes this lounge the perfect place to unwind during travel. Plus, the lounge’s incredible natural light sets the tone for any day of flying, and it also helps make this lounge LEED Gold Certified. 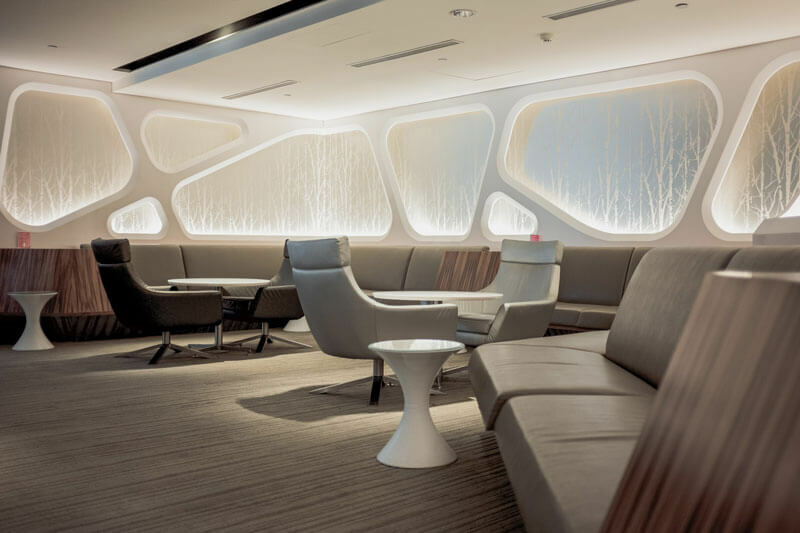 The future awaits you in the EVA Air Infinity Lounge in the airport in Taiwan. Curved walls, twinkling lights and unmatched elegance helps to define this space. Guests can use modern and themed shower rooms, connect with super-fast Wi-Fi, take advantage of the nursery or enjoy Chinese and Western cuisine. Plus, guests can use any of the three lounges in the same terminal: The Garden, The Star and The Club. Not just a lounge, the Lufthansa First Class Terminal in Frankfurt is housed in its own building, providing exclusivity and privacy. Let the valet staff handle parking cars or returning rentals. Plus, guests can be escorted through security. Choose from 150 different whiskeys, take a bath (complete with a rubber ducky) or power nap in a day bed. Then enjoy a ride directly to your gate to depart. With two stories of Scandinavian design spread out over two stories, the Finnair Premium Lounge is worth a stop for art lovers from all over the world. With a variety of places and styles to sit and lounge between flights, this airport lounge creates privacy with curtain dividers. Enjoy gourmet dining, private showers and cocktails any time of the day or night. There’s never a need to sacrifice luxury or convenience in any of the world’s best airport lounges. Plan your next world-class business trip with BlueOrange Travel for a truly elegant experience. Contact us today.